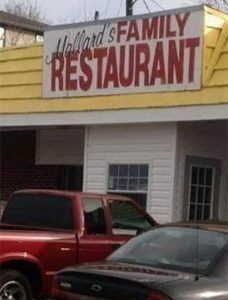 Mallard's Family Restaurant in Nashville, TN serves breakfast six days a week (closed on Monday) all day long. 2 Grade AA Extra Large Eggs, 2 Silver Dollar Hotcakes, 2 Links of Sausage, 2 Stripes of Bacon, Home Fries, 2 pieces your choice of Toast or Biscuits. 2 Eggs (any style), City Ham, Grits or Gravy, Home Fries, Toast or Biscuits. 2 Eggs (any style), Grits or Gravy, Home Fries, Whole Slice of Country Ham, Toast or Biscuits. 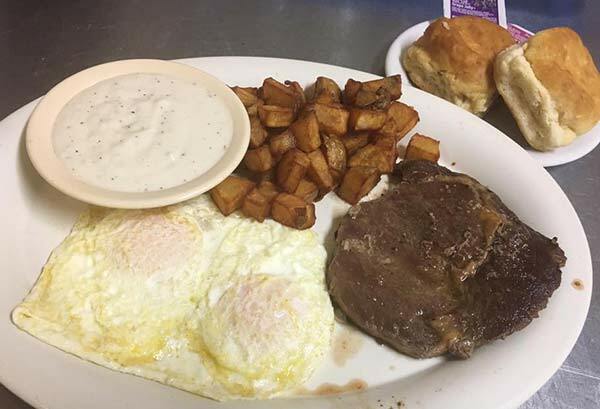 2 Eggs (any style), 8 oz Ribeye Steak, Grits or Gravy, Home Fries, Toast or Biscuits. 2 Eggs (any style), 3 Strips of Bacon or 3 Sausage Links, Grits or Gravy, Home Fries, Toast or Biscuits. Served with 2 items (ham, bacon, sausage, cheese, onion, peppers, jalapeno, mushrooms, tomato) and Toast or Biscuits and Home Fries. 2 Eggs (any style), Biscuits & Gravy, Home Fries. 2 Pancakes with 2 Stripes of Bacon or 2 Links of Sausage. 3 Pancakes with 3 Stripes of Bacon or 3 Links of Sausage. Served with 3 Stripes of Bacon or 3 Links of Sausage.